The very first time photos were ever snapped inside a cave here in the U.S., a Cincinnati photographer was behind the lens. Some say he was the first in the world. 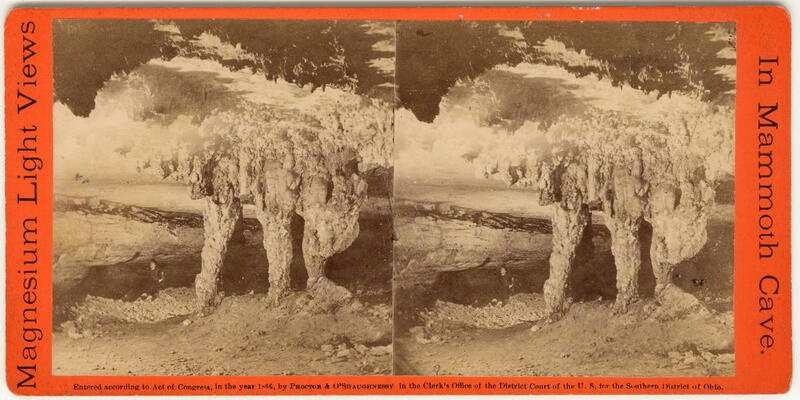 It was 1866, photography was still pretty new, and success was uncertain. But these photos helped put a now-famous UNESCO World Heritage Site on the map. >> LISTEN TO THE FULL STORY [HERE]. This story aired on Morning Edition on WVXU, 91.7 FM, Cincinnati’s renowned NPR affiliate.